Hanoi (VNA) – Vietnam has seen a rise in mobile e-commerce, also known as m-commerce, an effective channel for retailing in the digital era. By January 2017, Vietnam was home to almost 47.2 million mobile internet users, half of the country’s population, according to the report “Vietnam Digital Landscape 2017” by We Are Social. 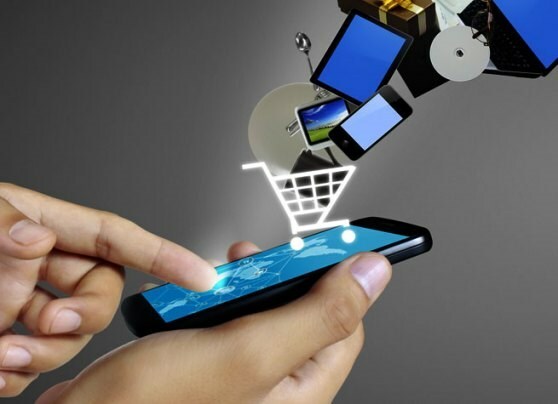 Some 39 percent of the population have purchased products or services online, of them 29 percent have placed at least one online order via a mobile device. The total value of the country’s e-commerce market was estimated at about 1.8 billion USD in 2016, the report said. The 2017 Vietnam e-Business Index by the Vietnam e-Commerce Association (VECOM) shows that the internet has been a great tool for local enterprises in cross-border trade. They can communicate with overseas partners via the internet and can access online public services, for example, e-customs and e-certificate of origin. It also found that 45 percent of domestic enterprises own a website but only 19 percent of the websites are compatible with mobile devices, down from 26 percent in 2015. To succeed, domestic firms must catch up with mobile e-commerce trends to maintain a competitive edge over the others, said VECOM Vice President Nguyen Ngoc Dung at the Vietnam Mobile Day last weekend. Dung suggested that selecting a suitable domain name should be the first step in building a reliable online presence for a business as a domain name is not simply an address on the internet but is closely attached to the enterprise’s operations and branding. A mobile-friendly website will draw more customers to the brand name and improve its competitiveness, he added. For those who wish to reach out to the global markets, the domain name “.com” indicates credibility thanks to its popularity and stability over the past 18 years, said Executive Director of Mat Bao Corporation Huynh Ngoc Duy at the event.